From Number 1 to Number 1 – A Gift from Italy to Andrew Cuomo This is the First bottle of the latest harvest of Il Tratturello EV Olive Oil, made by Francesco Travaglini in the Molise region of Italy. 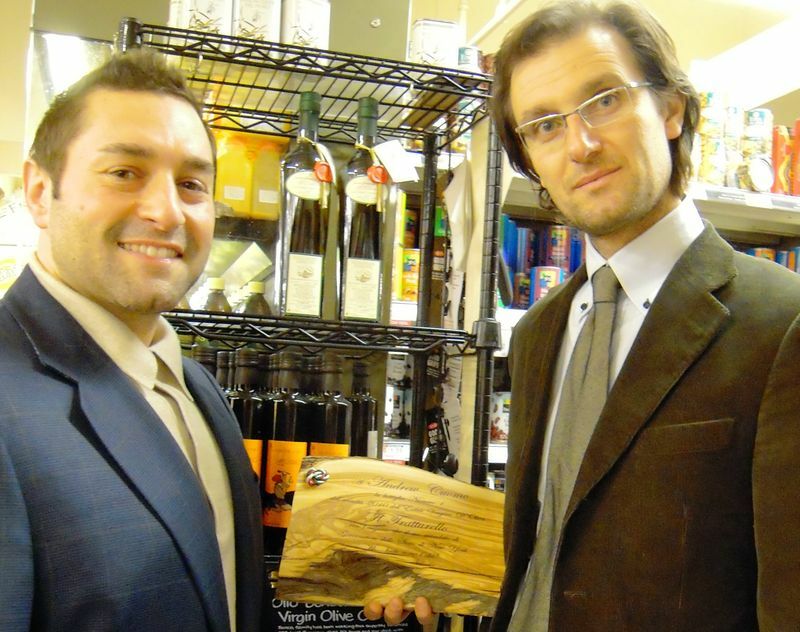 Francesco is a young, knowledgeable, passionate farmer and his olive oil is one of the best. Please note that all Il Tratturello bottles are numbered and THIS IS THE NUMBER 1! 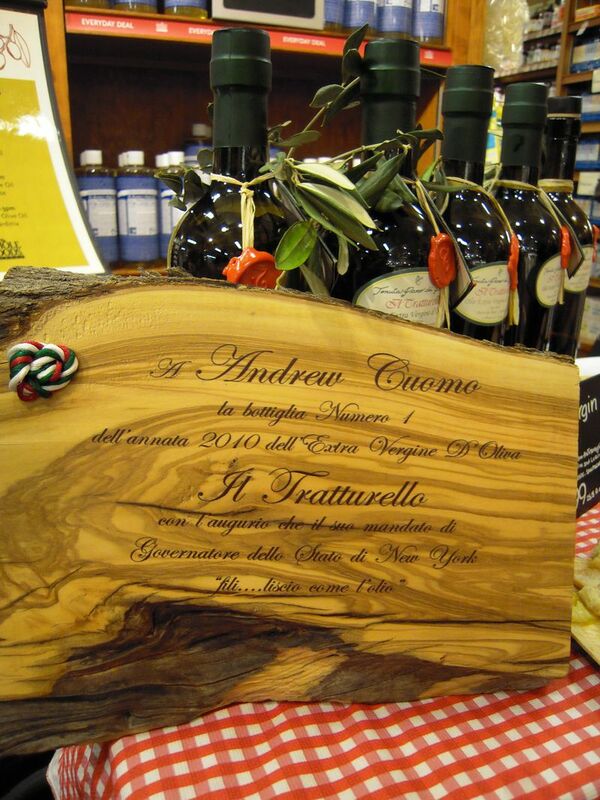 There is only 1 Number One and it is Francesco’s gift to the New York State Number 1, Andrew Cuomo. With all our best wishes of a peaceful and successful mandate. Left, the placque that goes with the Bottle, made on a piece of wood from an olive tree that felled by a storm last winter. It’s the olive oil’s ultimate recycle! Previous Post Aceto Balsamico Tradizionale – 100 Years with a Twist of Juniper! Next Post The Conductor of the Met Is Italian! Pingback: Il Tratturello, Mission Impossible – Accomplished!! !